Morecambe made it three home wins a week with victory against Wycombe Wanderers but what else did we learn from yesterday’s win? If a week is a long time in politics then it’s an eternity in football. Rewind seven days and Jim Bentley’s players were in need of a morale-boosting FA Cup victory against Hartlepool United. A win then, followed by the Checkatrade Trophy success in midweek, plus yesterday’s three points made it a much more enjoyable week for everyone associated with the Shrimps. The aim now is to channel that momentum and good feeling into the next game at Colchester United. 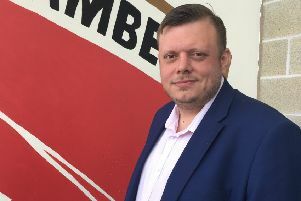 Morecambe’s travails since moving to the Globe Arena have been more than well publicised. However, three home wins in a week cannot be sniffed at, irrespective of the level of opposition they may have faced in that time. Some of their performances at home have not yielded the results deserved so, hopefully, the last week can be a launchpad to better things. And, if the results at home continue on their upward curve, it may tempt a few fans back there on a matchday. Having built a two-goal lead by half-time, Morecambe would have always known that Wycombe would try everything they could to get back into the game. That said, the home bench would not have been too pleased at the amount of work Barry bRoche had to do late on. A change of formtion and a more direct approach saw the Shrimps’ backline forced into some backs-against-the-wall defending. They were perhaps fortunate to have Roche at his shot-stopping best to preserve the advantage built up in the first half. As manager Bentley admitted afterwards, Steve Old’s emphatic header was one that he would have been proud to score. While Roche got the man-of-the-match award, the centre-half would have run him close based on his performance. There was nothing flashy in his display; merely an old-fashioned approach which saw danger averted when necessary. He may not have been known to many supporters when he arrived but Old’s name must surely now be one of the first on the Shrimps’ teamsheet. Max Muller might have been missing against his parent club but Sam Lavelle justified Bentley’s decision to start him in the centre of defence. Rather than be cowed by the challenge of facing Adebayo Akinfenwa, the youngster thrived with an excellent performance in the air and on the ground. Just as impressive was Aaron McGowan on the right-hand side of Morecambe’s back four with a solid defensive performance.